Rent or buy Harry Potter and the Half-Blood Prince here. 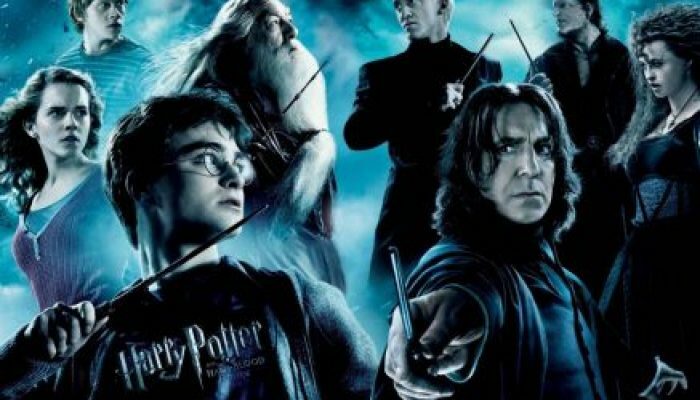 Harry joins Dumbledore in a quest to discover details about Voldemort’s past that could lead to his undoing in the future, all while the teenage trio deal with humorous and heartbreaking relationship woes. This sixth film deftly balances mystery, comedy, and romance for its first two hours, wisely slowing the pace to give its characters room to breathe and grow before thrusting them into the breathless, chilling, and genuinely heartbreaking last half hour. Michael Gambon here gives the definitive portrayal of Dumbledore, and the relatively lighthearted initial tone serve as a brilliant contrast to the earth-shattering encroachment of evil; it truly feels like there's something to lose, and the stakes are set high for the finale. GRADE: A-. Harry Potter and the Half-Blood Prince is rated PG. A central character is hit with a killing curse and dies; friends and colleagues mourn around the body. A central character drinks a potion that torments him mentally and emotionally; another goes into convulsions when he accidentally imbibes poison. Several male and female characters kiss, at times passionately. Telling the truth, even when it's painful, often paves the way for the triumph of good.. Unity and light bring hope which can dispel darkness and despair. Women like men who display chivalry and treat them with respect. At Brigham Young University I co-starred as Draco and Ollivander in Hillary Potter, a parody for BYU's Divine Comedy. Enjoy it above!